Happy Super Premium Cabernet Day! Today was actually meant to be ‘Do Your Tax Return Day’ but the Australian Tax Office (ATO) program crashed so many times I gave up. I’d heard it was unstable, but there is only so much silent anger you can hurl before you give up. Anyway, back to the wine. I tasted the Shiraz brother to this Cabernet last week and I expected it to be even better. 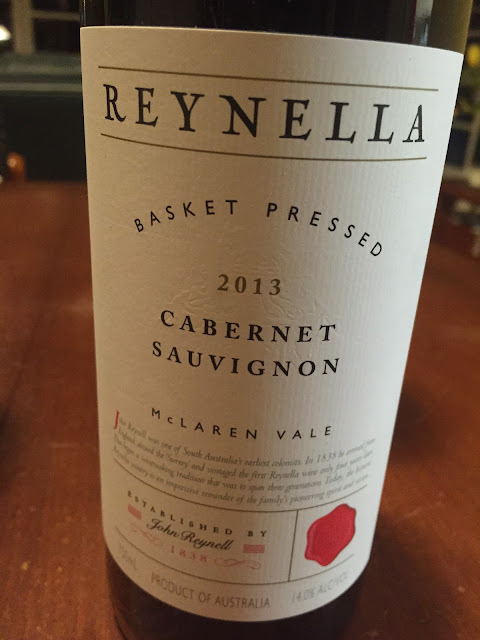 The old Reynella vineyard is the spiritual home of Australian Cabernet after all, with a clone based on a massale selection from the vineyard. Historically this has been a champion of a wine, too, but I think the Shiraz has its measure this year. Dark maroon purple, this has a purple, unsweetened fruit pastille nose with ferrous ironstone McLaren Vale Cabernet character of northern end of the Vale. Indeed the palate is dark fruited, firm and rugged, a dry and earthen expression that feels heavy and astringent before a warm finish. Details: 14%, Screwcap, $64.99, Sample. Would I buy it? Not quite. I’d like to drink some as a twenty year old though. Buy online: Hidden Cellar, Accolade Wines.